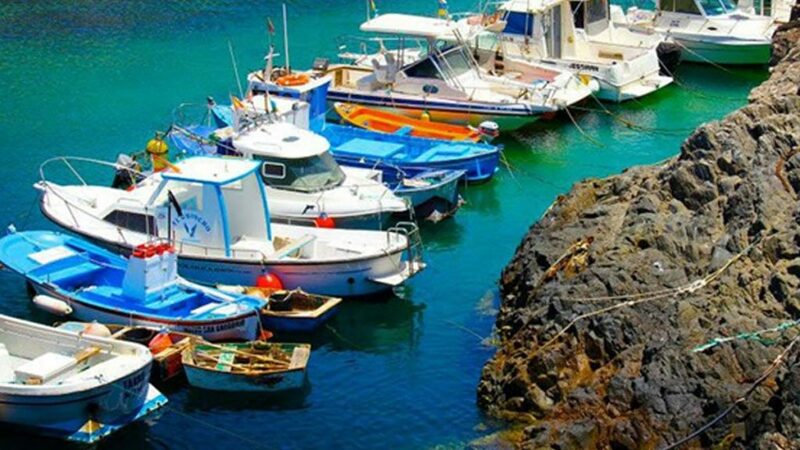 The small fishing village is our and soon also your home at the ocean. 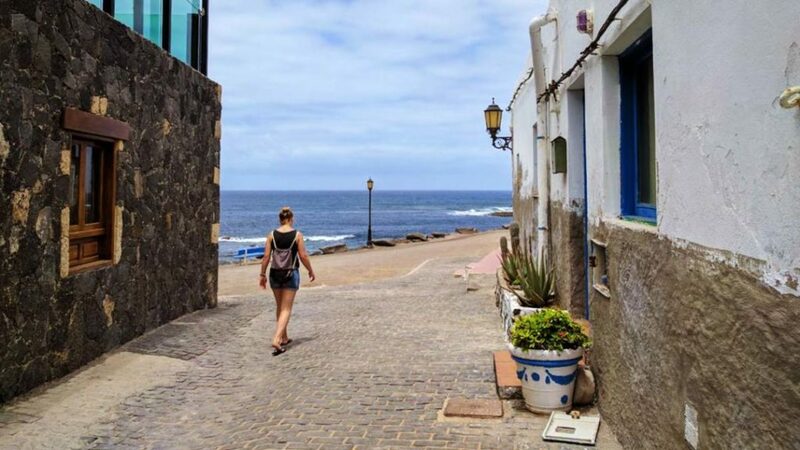 Fuerteventura and El Cotillo – our home! 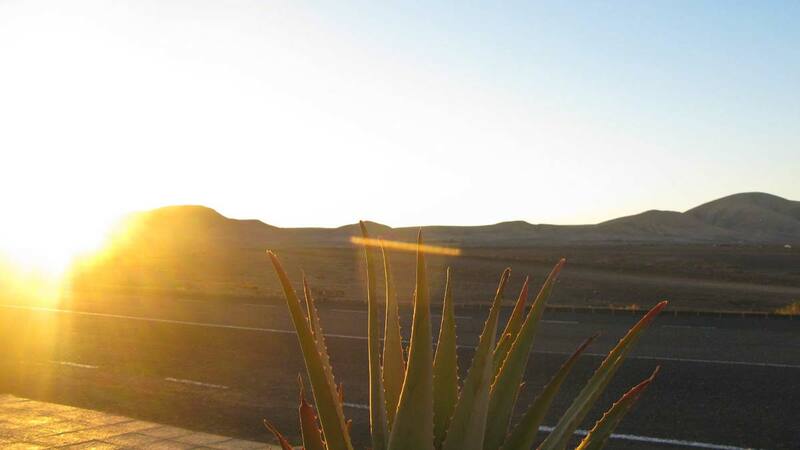 FreshSurf is located on on the westside of the north of Fuerteventura. 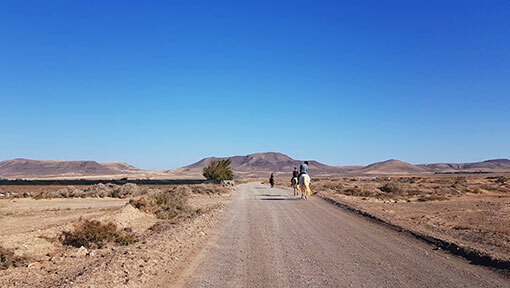 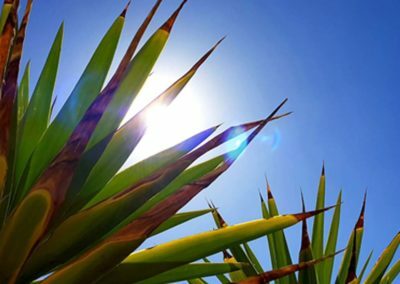 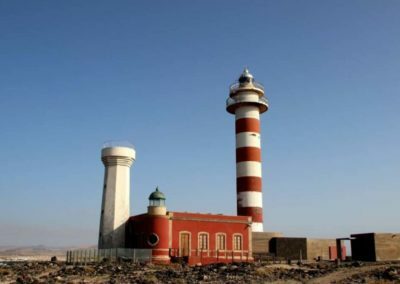 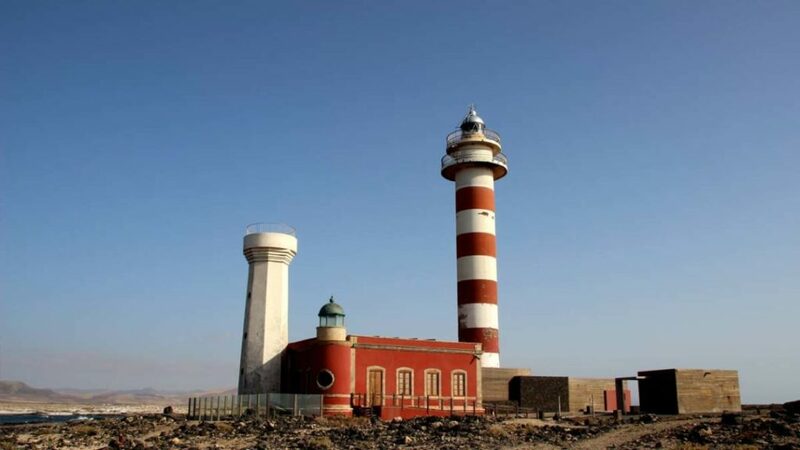 With three thousand hours of sunshine a year, Fuerteventura is the closest Canary Island to the African coast with only 100 km separating the ‘Punta de la Entallada’ from Cape Juby in Morroco and is the second largest (after Tenerife) of all the islands. 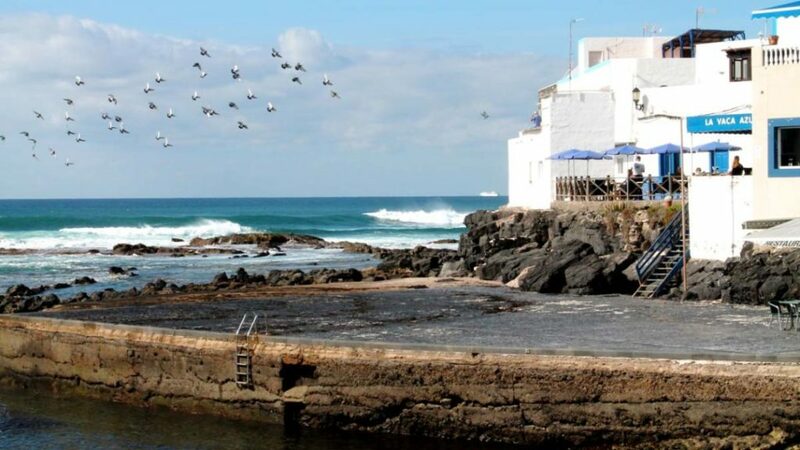 Our surf camp is located on the North-West coast of the Canary Island of Fuerteventura. 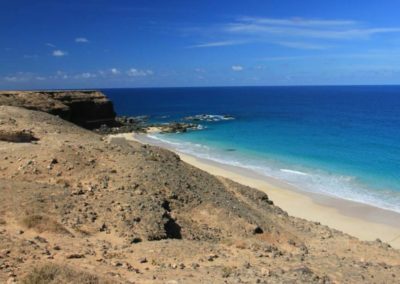 Besides shifting sand dunes in the North-East, mountainous landscape in the interior and steep cliffs on the West coast, the island offers many sandy beaches. 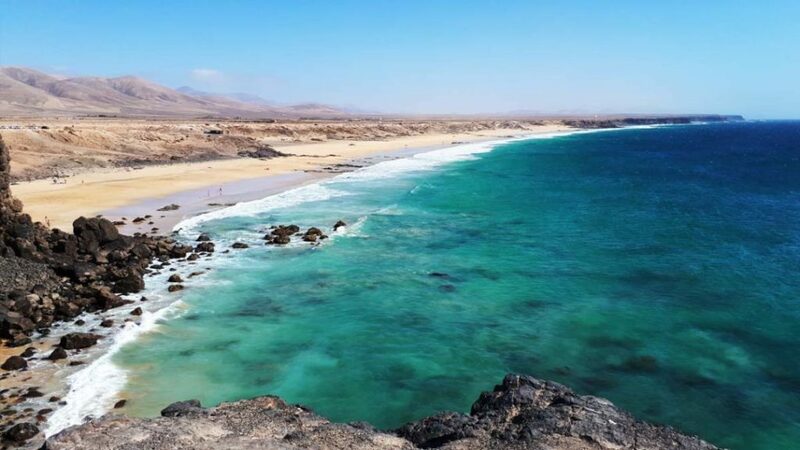 Surfers will find amazing surf spots and an incredible environment with a mix of palm trees, desert and the ocean. 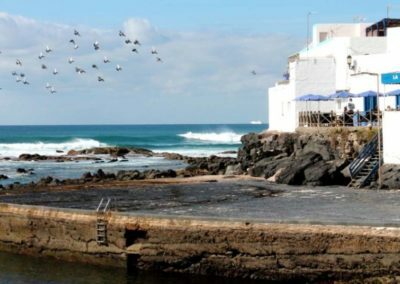 Fuerteventura offers consistent swells all year round and there are a variety of spots suiting different levels of ability. 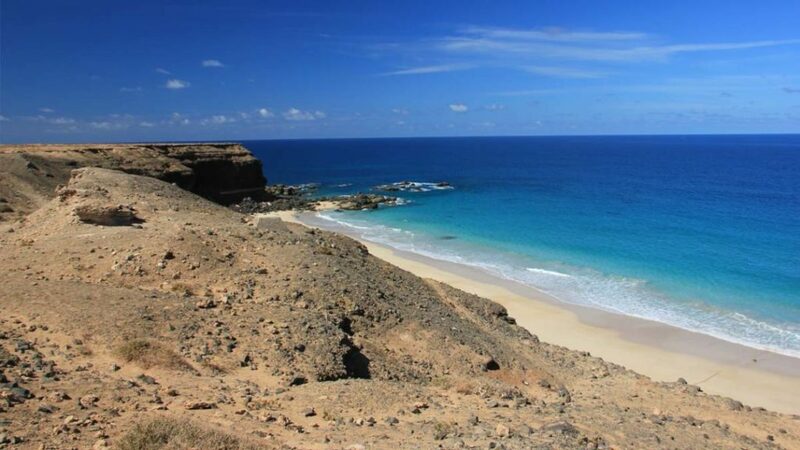 In general all surf spots are remote from tourist attractions and are largely visited by surfers only. 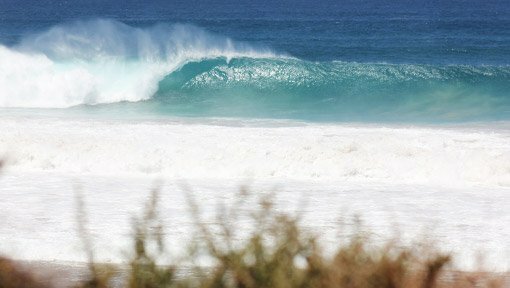 The waves of the North-shore are long, strong and often perfect. 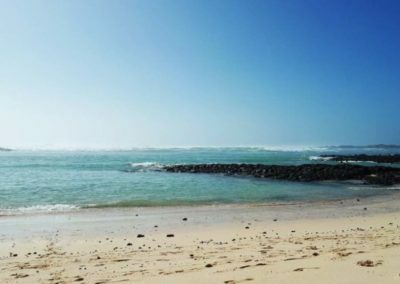 Mostly you are looking at reef breaks, but there are a few beach breaks which offer perfect conditions for beginners – e.g. 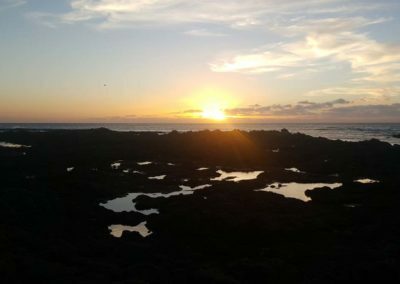 El Cotillo, Playa del Esquinzo or Playa del Morro. 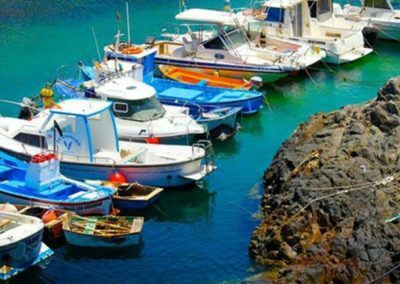 The water temperature varies in the range of 18° to 23° Celsius depending whether it is summer or winter time. 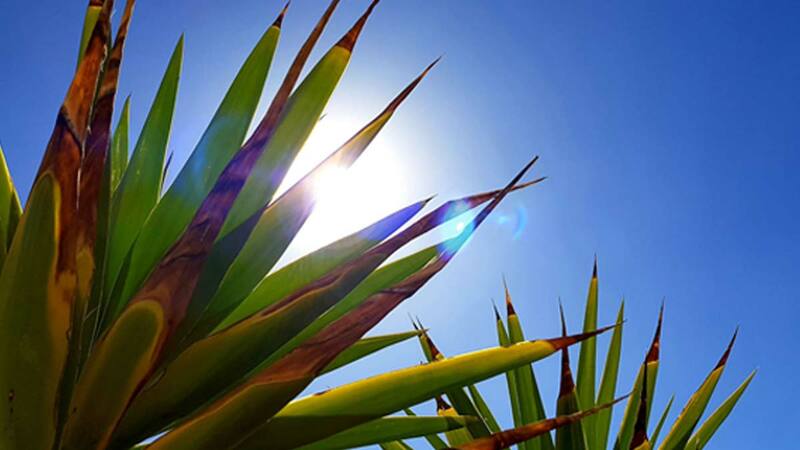 The average air temperature is around 23° and is still high during winter. 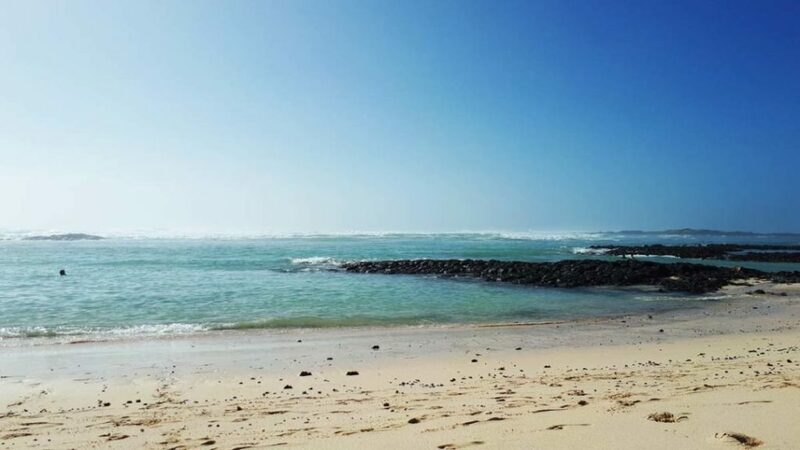 We prefer to surf in board shorts in summer and 3/2-Wetsuits in winter, but strictly recommend a wetsuit for our guests for safety reasons and to maintain a comfortable temperature. 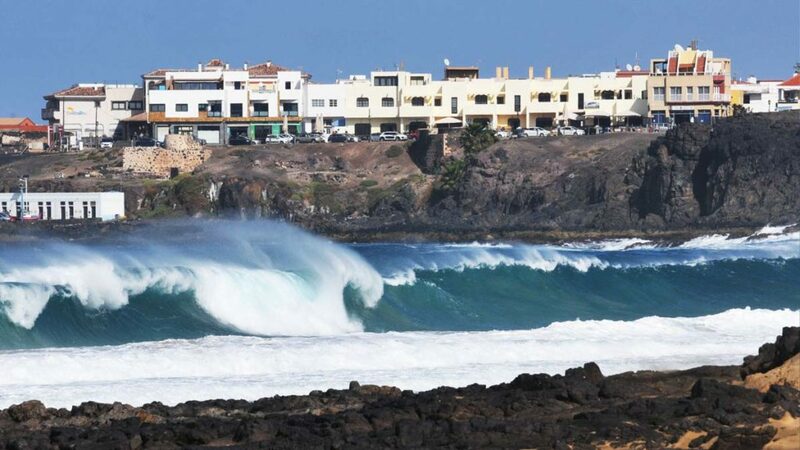 Fuerteventura and the other Canary Islands are Europe’s top ranked winter surf destinations. 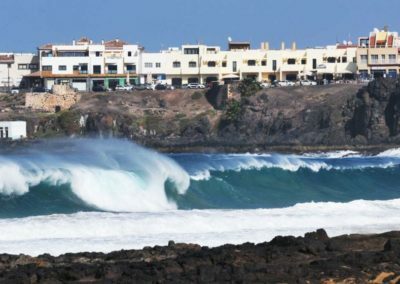 Click here to view on a larger map: The El Cotillo of FreshSurf! 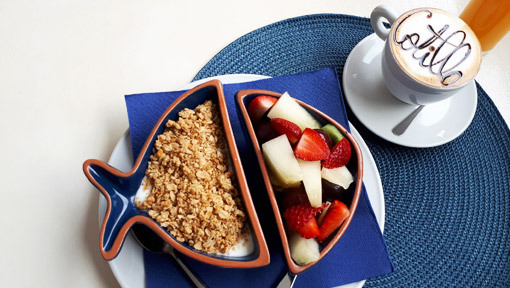 El Cotillo offers a large selection of different restaurants and cafés. 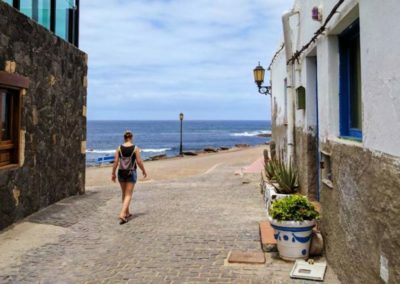 Whether you want to eat traditional spanish tapas, local fish, tasty pizza, a healthy salad or just a little snack – here in El Cotillo you’ll find whateveryou look for. 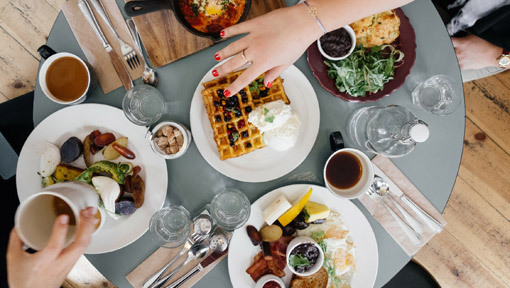 Just have a look at our Restaurant Guide. 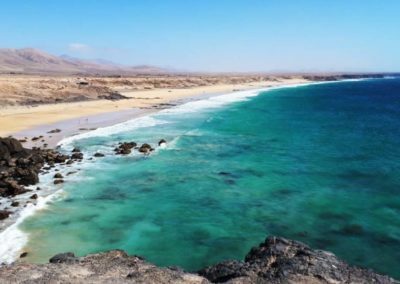 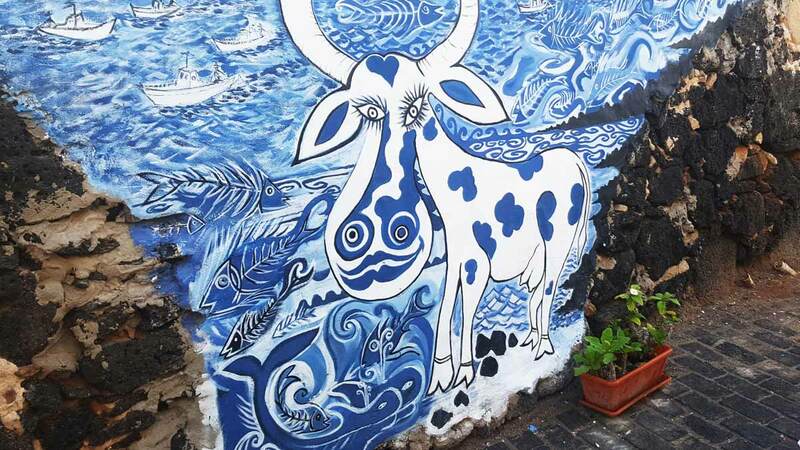 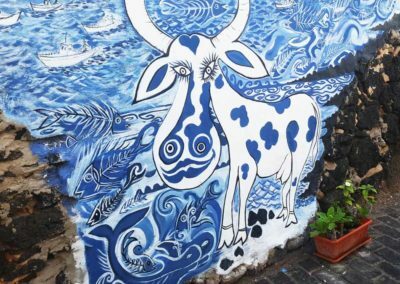 Apart from surfing, Fuerteventura has so much more to offen than you might think. 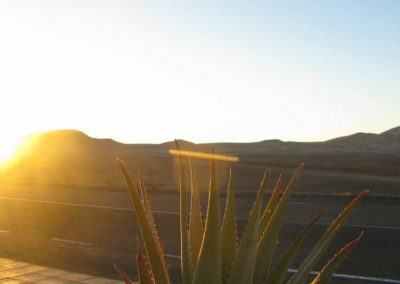 We offer different kinds of sport and leisure activities – some are more active, some are rather passive. 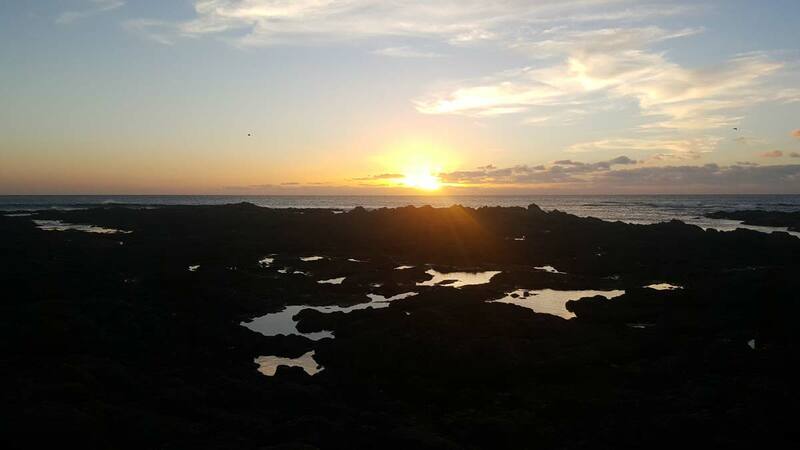 No matter which kind of activity you chose to do, your well-being is always paramount to us. 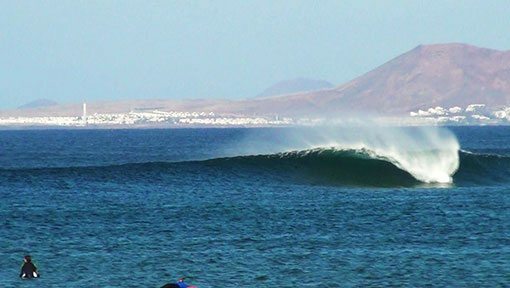 Here you can find more information about all the activities that we offer in our Surfcamp on Fuerteventura.